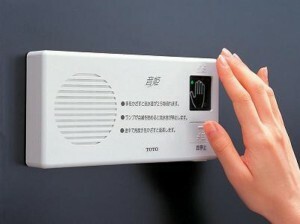 Toilet in Japan - Here, we update the latest information from Japan!! This function was invented from Japanese women’s voices, saying that they get so embarrassed if the sound that they make in the toilet is heard by people in the first place. Yes, being embarrassed is a Japanese culture, isn’t it? It began being sold in 1988. I’ve heard that Japanese women used to flush a couple times to hide the sound they make in the toilet before it was sold. Say, if about 400 Japanese women work in a company, 3,900,000 yen (≒US$32,268.60) of the water bill could be saved with “Oto Hime”! Since its first sale in 1980, more than 30,000,000 were sold until 2011. 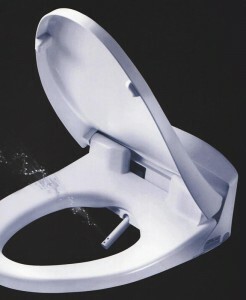 It has become a Japanese necessity to “wipe our bottoms with water”, instead of with “toilet paper”! They might be a little awkward and possibly wasteful to you, but they have become a must for Japanese people. Especially, many Japanese people are so addicted to the “Wash let” that they even bring a palm-sized “Portable Wash let” with them, when they go abroad. So in the next blog, I’ll share more information about the “Automatic and Warm Toilet Seat” and Japan’s “Cleanliness” with you.